It’s been getting cooler here, and at times it’s actually been cold enough for soup. 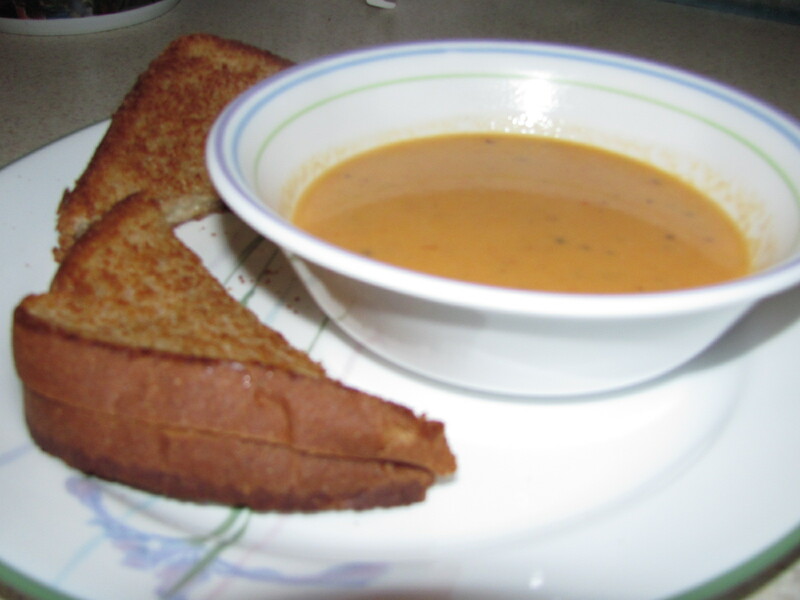 I had been looking through my thoroughly unorganized collection of recipes for ideas, and found a recipe for ‘Fresh tomato soup’ that I had pulled out of an old Paula Deen magazine. I’m not generally a fan of the canned version – I think maybe it’s too sweet for me? but I thought I’d give home-made tomato soup a try. I think I added too much onion (I decided I didn’t actually need to measure out the 3/4 cup, but threw an entire medium onion in instead…), but otherwise it was pretty good – especially with a grilled cheese sandwich! In a medium saucepan, melt butter over medium-high heat. Add onion and garlic; cook 5 minutes, or until tender. Add tomatoes; cook 3 minutes. Stir in flour, and cook 2 minutes, stirring constantly. 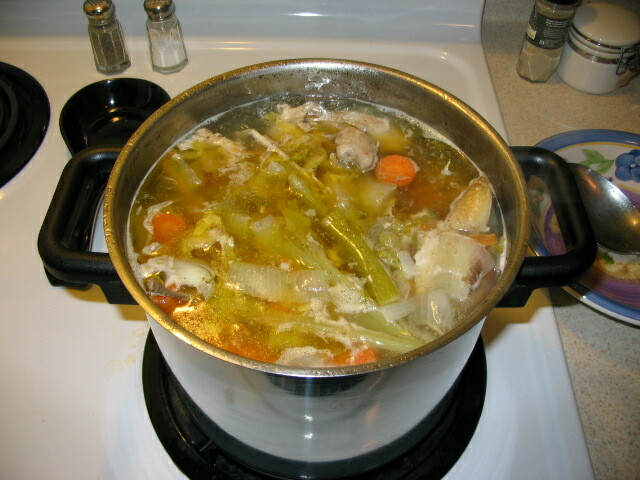 Stir in chicken broth, salt, and pepper, and cook 4 to 6 minutes, or until thickened. Pour soup into an electric blender or food processor (I imagine an emulsion blender would also be just fine :)). Puree until desired consistency is reached. Return soup to saucepan; stir in half and half. 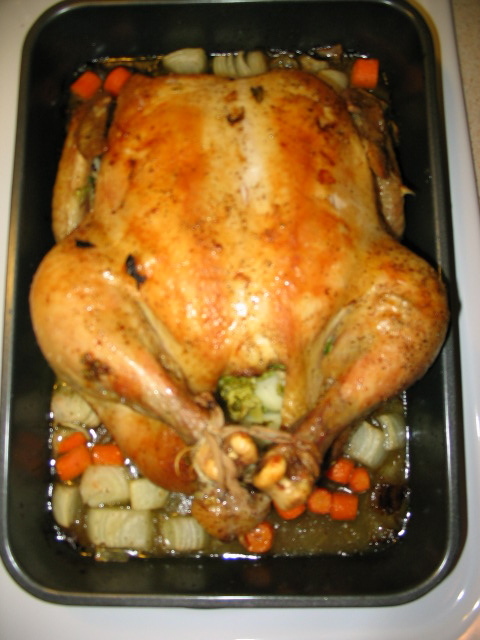 Cook over low heat 5 to 6 minutes, or until thoroughly heated. Wow – it’s been a while. I’ve actually cooked (and baked) a decent amount, just haven’t bothered telling y’all about it for whatever reason. I know I got side-tracked with Easter (which was awesome, btw!!) and then just got lazy. Oops. So what have I been cooking over the last month?? Stuff… that usually involved veggies and cheese, among other things. I actually went through all my cooking magazines that I’ve collected over the last several years and pulled out just the recipes that sounded good, and threw the rest out. My living room looks, well, about the same, actually. But instead of a large stack of magazines, I’ve got a much smaller stack of magazine pages. I’m going to have to organize those at some point. Anyway, I decided to share a couple of my favorite recipes from the last month, and presumably next week sometime I’ll be back to one recipe per post, or at least more frequent postings than once a month. Meanwhile, cook cream cheese, milk and Parmesan cheese in a large skillet on medium-high heat for 3 min. or until cream cheese is melted and mixture is well blended, stirring frequently. Add remaining ingredients; cook and stir 5 min. or until heated through. Drain pasta; return to pan. Add sauce; toss to coat. I love this recipe – it’s got bacon, cheese and pasta – yummy! (and I use an extra slice or two of bacon – just FYI) However, it’s not as yummy as leftover lunch the next day. It tastes fine, it’s just not as good. Maybe it’s just me. In a 6-quart crock pot, combine potatoes, broth, soup, onion, and pepper. Cover, and cook on low for 5 hours. Stir in cream cheese; cook 30 minutes, stirring occasionally, until combined. Garnish with green onions, if desired. Adjust oven rack to middle position and heat oven to 325 degrees. Grease and flour 9 by 5-inch loaf pan. Sift flour, baking powder, and salt into bowl. 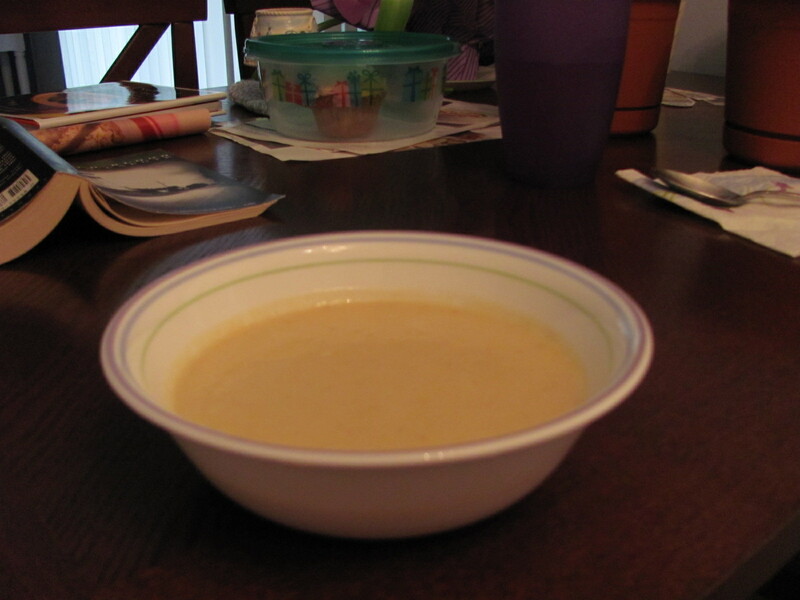 Stir sour cream and lemon juice together in a second bowl. Using fingers, toss lemon zest and sugar together in large bowl until clumps are gone. Add butter and beat with electric mixer at medium-high speed until smooth and light, about 3 minutes. Scrape down sides of bowl. Add beaten eggs in three additions, mixing until smooth and scraping down bowl after each addition (mixture will begin to look curdled). With mixer on low, add one-third of flour mixture, followed by half of sour cream mixture, stopping as necessary to scrape down bowl. Repeat, ending with flour mixture. Scrape down bowl, then mix on low until smooth, about 30 seconds. Use rubber spatula to give batter final stir. Pour batter into pan and smooth top. Gently tap pan on counter to release air bubbles. 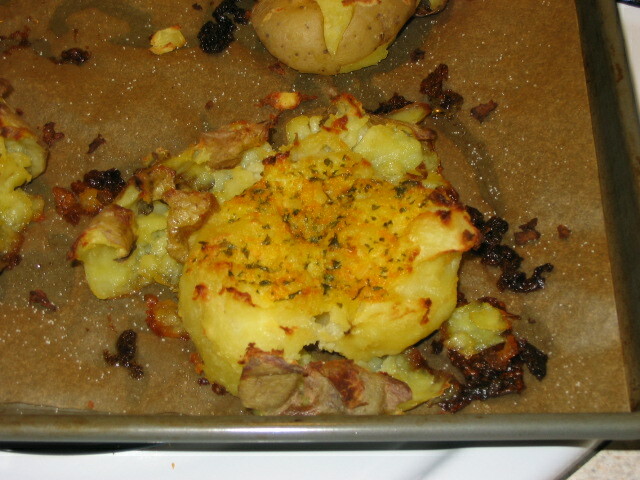 Bake until golden brown and toothpick inserted into center comes out with few crumbs attached, 55 to 70 minutes. While cake bakes, stir sugar and lemon juice together in saucepan over medium-high heat until sugar dissolves. Simmer for 2 minutes, remove from heat, and set aside. Cool cake in pan on cooling rack for 10 minutes, then turn out onto rack. Brush top and sides of still-warm cake with syrup and cool completely, about 2 hours. Whisk confectioners’ sugar and lemon juice in bowl until smooth. 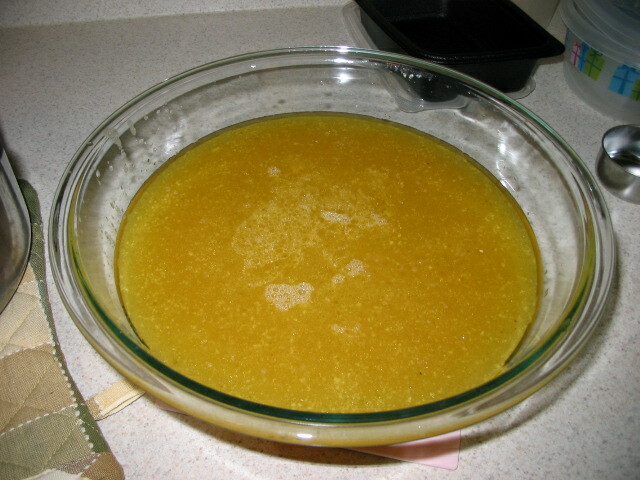 Spread glaze over cake, allowing some to drip down sides. Let glaze set for at least 15 minutes before serving.